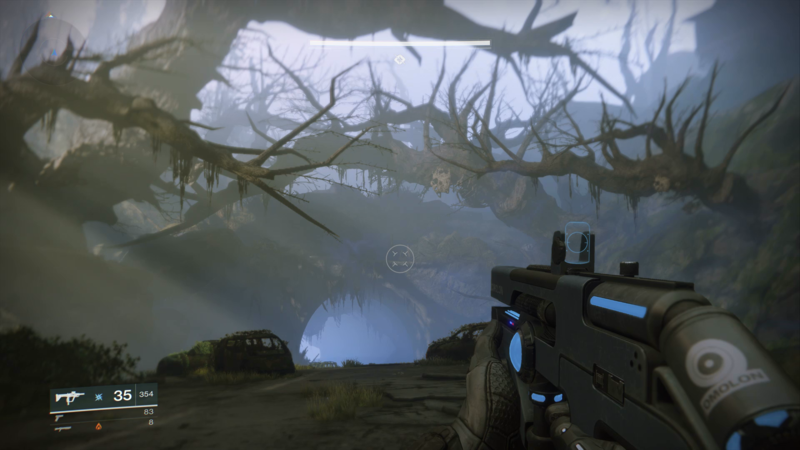 Destiny 2 begins with a series of solo missions to set the scene for the game. 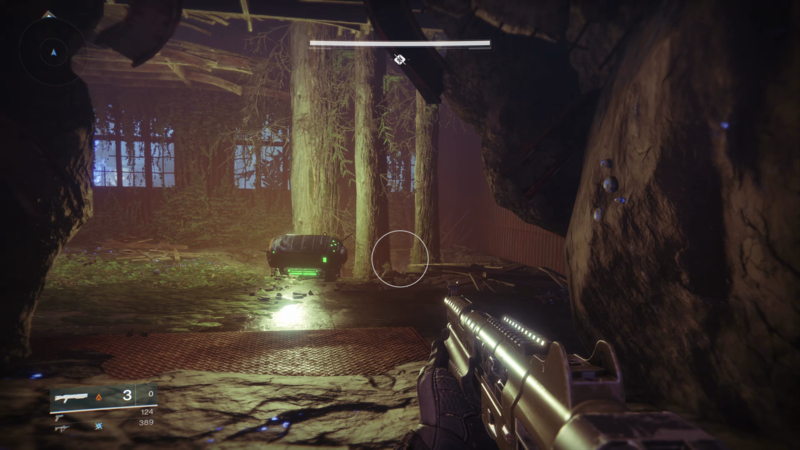 This Destiny 2 Spark Mission Walkthrough will help you get through one of the early missions and tell you how to unlock the Farm and Crucible mode. Follow this guide and you’ll breeze through Spark in no time at all. For more on Destiny 2, head on over to our Destiny 2 guide hub. It’s got loads of info, including a guide to Destiny 2 exotic weapons. The objective here is to find a way to the shard of the traveller. To begin with you need to walk towards the marker and find the small gap in the wall. Crouch down and follow the narrow path and you’ll make it through to a grim looking forest. Cross the chasm (if you fall down you can climb up the other side), then follow the path forwards. 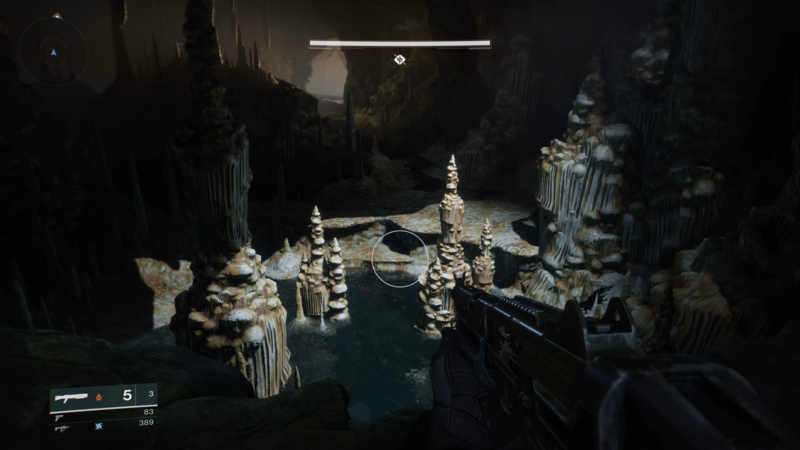 Keep going through the dark cave until you come to a lit area, with some rock structures emerging from a pool of water. This is the first enemy encounter in the game, so jump down and take out the cloaked foes. The shotgun is good for this, but you shouldn’t have too much trouble no matter what weapon you have equipped. Once these guys have been defeated you can move on. Don’t miss the loot chest (you shouldn’t be able to, as it glows green!) for a nice pick-up, then head on until you reach some stairs. Take them up and then drop down to the area below, leading to what is an even grimmer looking forest - The Blackened Forest. Follow the mission marker and you’ll reach a crashed ship that’s surrounded by foes. 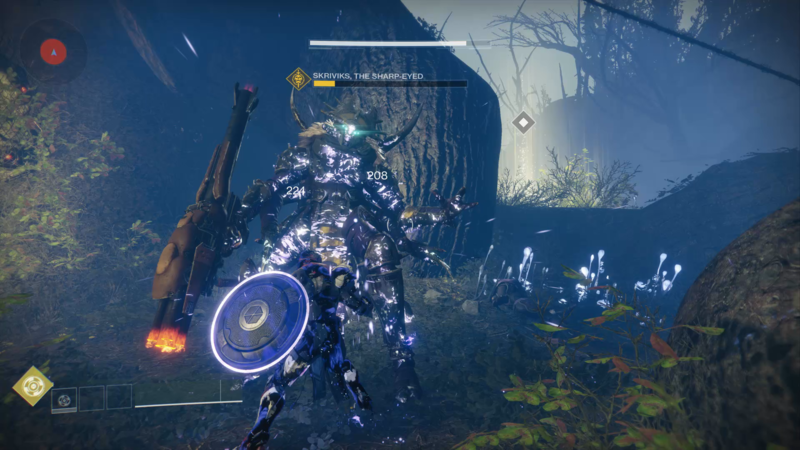 Being early on in Destiny 2, these aren’t a major challenge, but make sure you keep moving. Take out each group and then move forward. Nothing is particularly tough here until you reach an arena like area that is home to Tikkis, Diminished Scrapper. This guy isn’t especially tricky, but compared to the grunts before he is a step up. To defeat Tikkis, make sure you take out his shield using an energy gun, then target him with your most powerful weapon. He’ll go down soon enough and you’ll just have to mop up the rest before a small cutscene plays. Following this cutscene you’ll have access to your Super Abilities. Handily the area is full of light that will recharge you, so move from one to the other, activating your Super and taking out the enemies with ease. A large foe, Skriviks The Sharp-Eyed is the only enemy of note, but with your Super it doesn’t take much to kill him. Once Skriviks is defeated you’ve completed the mission. Well done! 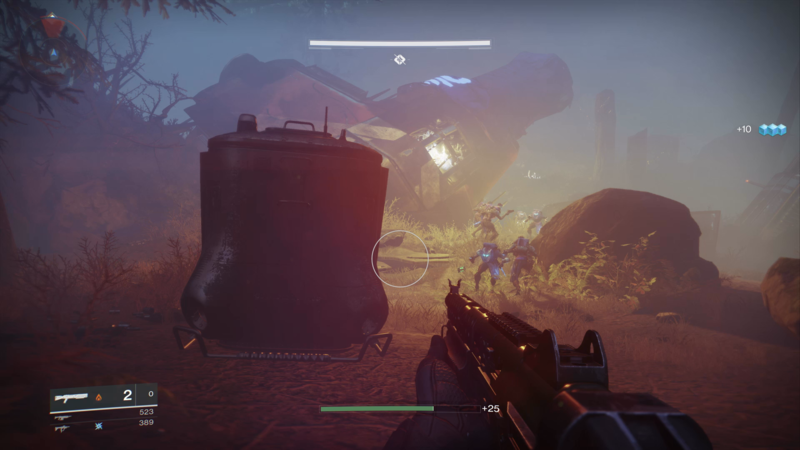 When you are taken to the Farm you'll be able to access the area for vendors and missions, plus unlock the Crucible by talking to Lord Shaxx.